Ultimate Nutrition® IsoCool® Whey Isolate is produced exclusively through a new and innovative technology, ColdPure® ultra-filtration. ColdPure® ultra-filtration isolates the native whey protein in a highly-bioactive form, using an advanced low-temperature ultra-filtration process. ColdPure® ultrafiltration produces a superior bioactive whey that is non-denatured and includes essential amino acids (EAAs) and branched chain amino acids (BCAAs). IsoCool® Whey Isolate includes all the bioactive whey protein fractions such as beta lactoglobulin, alpha lactalbumin, glycomacropeptide, immunoglobulin, serum albumin, proteose peptone, and naturally-occurring lactoferrin and lactoperoxidase. Protein plays a number of different roles in the body including repairing body cells, building and repairing muscles and bones, providing a source of energy, and controlling many of the important processes in the body related to metabolism. Whey protein is a high quality, complete protein, with all of the essential amino acids. Whey protein is also the richest known source of naturally occurring branched chain amino acids (leucine, isoleucine and valine). These are important for active individuals, individuals who exercise and professional athletes. The body requires higher amounts of branched chain amino acids during and following exercise as they are taken up directly by the skeletal muscles instead of being metabolized through the liver first, like other amino acids. 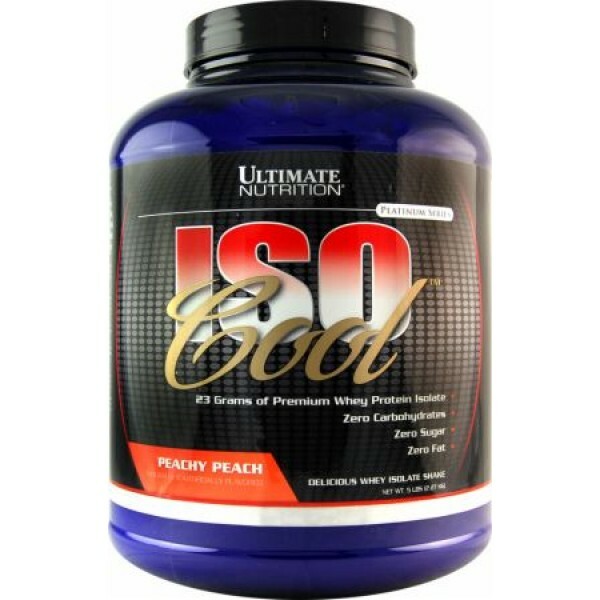 Fuel your muscles with the protein they need with Ultimate Nutrition IsoCool!